Riley is our 18th grandchild and is so precious to us.....she was born at 10.19 pm Tuesday 5th February, a sister for 2 year old Bevan.....we are so happy she is safely here! Moments after this photo was taken, Tanys, Riley's Mummy (that's her above, so happy to have her baby girl) had a massive bleed. She lost consciousness and was quite poorly for a while.....it took most of the night to stabilise her. She's fine, now, and enjoying time with her gorgeous little girl. How thankful I am to a loving Heavenly Father who took care of this precious mother! How very blessed we are to have our 8 beautiful and precious granddaughters and our 10 handsome and treasured grandsons! Awwwwww big congratulations all round. I'm so happy to hear your good news. Sounds like mum had a rough time, such a big relief that she is fine now. 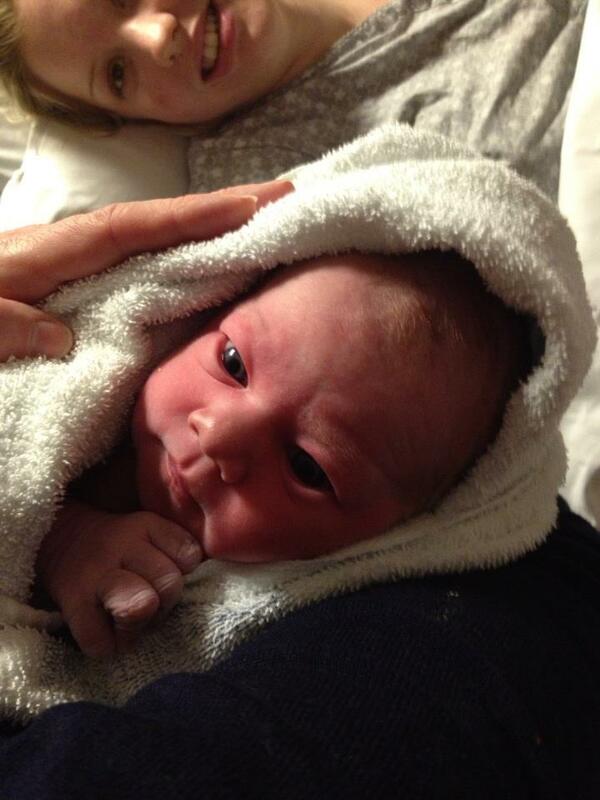 Oh congratulations, Anne-Marie - she is gorgeous!! Dear Anne-Marie! So very wonderful to be able to welcome a new little life into this world! You are so very blessed! Happy dancing with you! Great photo of two beautiful girls. Congrats, grandma. She looks like a keeper, LOL. Glad her mummy is doing okay now, that must have been frightening for them all. Wow busy Grandmother you are going to be. Congratulations. Gorgeous photo. Beautiful, beautiful little lady. She is definitely a wonderful blessing for all. Glad Tanys is doing better after the scare. She is absolutely gorgeous! So glad to hear that both Mama and baby are doing well! Congrats to the very proud Grandmother too!